Discover the natural beauty of California at your own pace on a private 10-hour scenic tour of Carmel, Monterey and Big Sur from San Francisco. Journey along the 17-Mile Drive, see the Big Sur Bixby Creek Bridge, go to Poit Lobos State Reserve and more. See the sights you want to see on a tour exclusive to you. 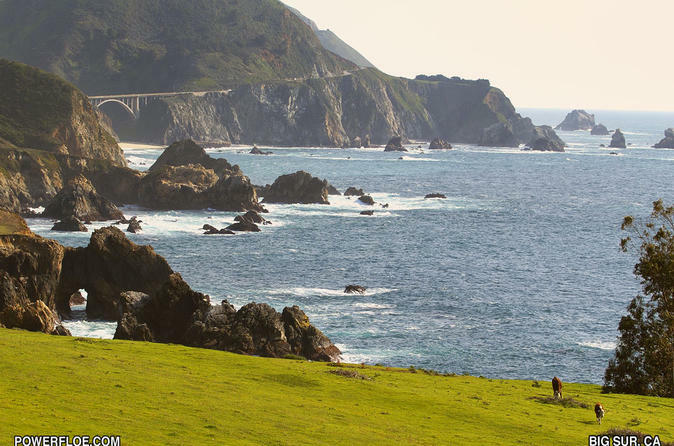 Explore the Big Sur and Monterey areas of California at your own pace, and avoid the hassle of organized bus tours. Take a scenic drive from San Francisco to Carmel and Big Sur via State Route 1, the north-south highway that runs along most of the Pacific coastline of California. Travel the forested road of 17-Mile Drive. Discover the Mission District and Monterey Bay Aquarium. See all the sights of Fisherman's Wharf. Drive down to the Big Sur Bixby Creek Bridge, and marvel at the flora and fauna of Poit Lobos State Reserve south of Carmel before your return to San Francisco.